"It’s like my life isn’t even real to me unless you’re there, and you’re in it, and I’m sharing it with you." 1. 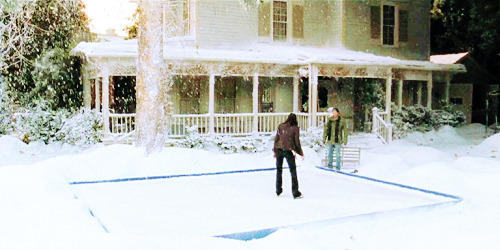 When he built her a skating rink. 2. When he built her a chuppah. He was always there for her, even before they started dating. 3. When he showed her the horoscope that he kept in his wallet for eight years. 4. When he bought her basket. He spent $52.50 on two stale pop tarts and a slim jim just to save her. A real knight in shining flannel. 5. 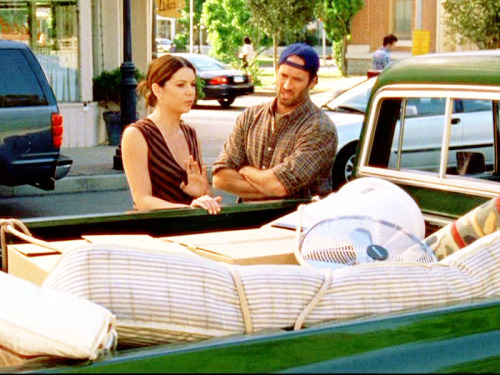 When he helped move Rory's mattress into her dorm, and out of her dorm and back into her dorm again. 6. When Luke made Lorelai a Santa burger. And then closed the entire diner to drive her to the hospital. 7. When Luke threw a going away party for Rory. "I mean last night when we thought it was gonna rain and we'd have to cancel the party, he went around and collected everybody's tarps and tents and raincoats. I don't know how he did it. He must have stayed up all night doing this. Can you believe that?" We all know he just likes to see her happy. 8. When Luke was *literally* a shoulder for her to lean on. And gave her $30,000 so her dreams of owning the Dragonfly inn could happen. 9. When he helped fix her broken shoe. "If I ever happen to meet the right person, another kid might be nice." 10. When they reunited after breaking up. 11. When he feared that he was going to accidentally kill her dog. "I went to the vet’s office and they were closed and said to come here, and this dog ate three pounds of sweetened chocolate. Now I don’t know a lot about dogs, but I know they shouldn’t have chocolate. And this isn’t even my dog, it’s my fiance’s dog, and she loves it. She named it Paul Anka, which might sound a little weird, but if you knew it makes sense, and there are so many ways I can screw up this relationship but I can’t lose her over the fact that I killed her dog!" 12. When they went to Liz and TJ's wedding together. I mean, Luke can waltz. 13. 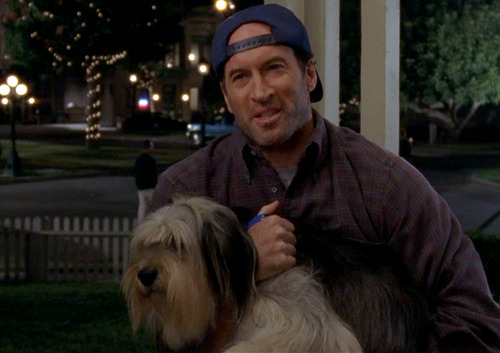 When Lorelai wrote a character reference for Luke so he could get custody of his daughter. 14. When they FINALLY had their first kiss. 15. And when Lorelai proposed. "I saw this guy in front of me who was a real...man. He was solid, and he was strong. He would protect me, but he, he got me. I knew all that when we started dating. But that moment, when I realized how much he cared for Rory, that was it. Suddenly I knew I was ready." Let's hope it gives us nothing but precious moments between these two. 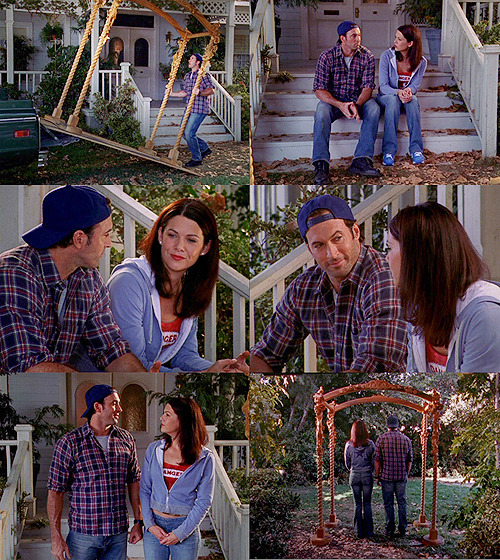 Do you still want to see a Luke and Lorelai wedding?